1. Tea leaves are of four basic varieties: Black, Green, Oolong and White. White teas derive their name as the tea leaves are plucked at an early age when they have white hairy growth. 2. White teas are famous for this anti-skin ageing properties. They bring a glow to the skin and avoid wrinkles. White teas are used in the production of many cosmetics also. These teas have higher degree of health benefits in comparison to Green Teas, and are specially good for anti-skin ageing, teeth cavities and diabetes type-2. 3. White teas are made of bud and single leaf, which is considered to be highly premium. Only a small quantity of White tea is produced in a large area, these are quite expensive.These are slightly fruity in taste and are quite soothing. 4. White Elixir is organiclly produced in Himalayan region, having high altitude and cold climate. 5. As this White tea is made of only bud and single whole leaf, and are rolled, these teas take time to unfurl while being brewed, and release their extracts slowly. Therefore, these teas are meant to be used 3-4 times. Delays skin ageing. Prevents tooth cavities and type-2 Diabetes. Anti-bacterial, immunity booster against cancer and other diseases. Controls bad cholesterol and artery clogging. 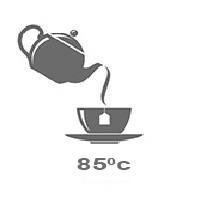 Boil water, switch off the burner, open the lid, and allow water to cool down for 2 minutes to 85 degrees C.
Whole leaf tea leaves are meant to be used 3-4 times. Black tea leaves and buds. Which tea is good for skin glow/anti-skin ageing? 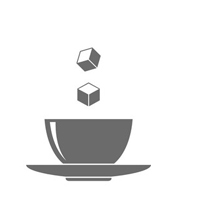 Teas are of four basic types: Black, Green, Oolong and White. White teas are most premium variety of teas, and are considered good for anti-skin ageing and skin glow. In addition, White teas have all the benefits of that of Green tea, in fact to a larger degree. White teas are used in many cosmetics also. There are numerous articles on internet establishing the usefulness of White teas to delay skin ageing. How different is White Elixir from Silver Needle White tea? White Elixir teas comprise of tea bud and a one leaf. 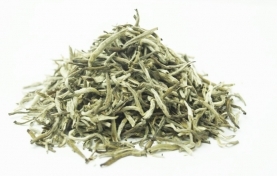 In comparison, Silver Needle White tea comprises of only buds. Therefore, the aroma of Silver Needle White tea is better than White Elixir. However, in terms of anti-skin ageing properties, White Elixir is also as good as Silver Needle White tea while it offers a significant price advantage also. White Elixir is produced in Himalayan region. Therefore, these teas are more aromatic in comparison to teas produced in other geographies like Kangra, Nilgiris and Assam. Can these White teas be used multiple times? Budwhite White Elixir teas are made of buds and single leaf which release their extracts slowly while being brewed. As a result, Whole Leaf tea leaves don’t release all these extracts in first brewing. These tea leaves are meant to be used 3-4 times over 6-8 hours. 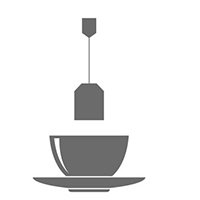 You can leave tea leaves in tea infuser, or in kettle after straining the tea. 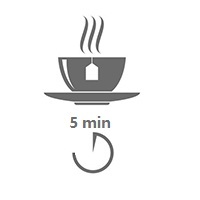 Increase steeping time by 1 minute for subsequent brewing. Are these White Elixir teas available only in loose form, or are these available in teabag form also? White tea buds are too soft to flow through teabag machine into pyramid teabags. Some people fill up these teas in pyramid teabags manually which may not be best from hygiene point of view. Silver Needle White teas are therefore available only in loose form. Why are White teas so costly? While the White teas in general are quite expensive, our White Elixir teas is best value for money. White teas are expensive as they have a large percentage of tea buds. Only a small quantity of buds come out of a large production area, which makes White teas expensive. Can White tea be flavoured with fruit or flower flavours? White tea is best relished in it’s pure form. It can be blended with light fruity flavours like Apple, Strawberry etc. Jasmine flavour also goes well with White tea. Such flavoured White teas can be supplied on specific request as it is not our standard retail pack.